Guided by the Governor’s Executive Order B-10-11 and state policies regarding consultation with California Native American Tribes, the WaterFix planning process has included significant Tribal engagement. California WaterFix would protect and maintain water quality in the Sacramento-San Joaquin Delta (Delta) and guard against potential threats such as saltwater intrusion and sea level rise. California WaterFix is critical to protecting our clean water supplies against the threat of earthquakes and will be designed to comply with industry standards and project-specific seismic criteria. 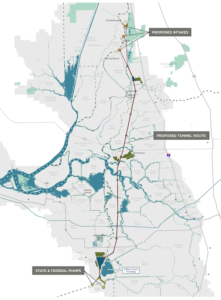 Due to the many active faults in the San Francisco Bay Area, earthquake risk in the Sacramento-San Joaquin Delta (Delta) is high, putting water supply and existing State Water Project (SWP) infrastructure at risk. A brief compilation of answers to frequently asked questions regarding the project. California’s water delivery system is more than 50 years old and in need of an upgrade. This is especially apparent in wet years, when we get a large amount of storm water, but don’t have the ability to effectively capture, store, and move it for later. 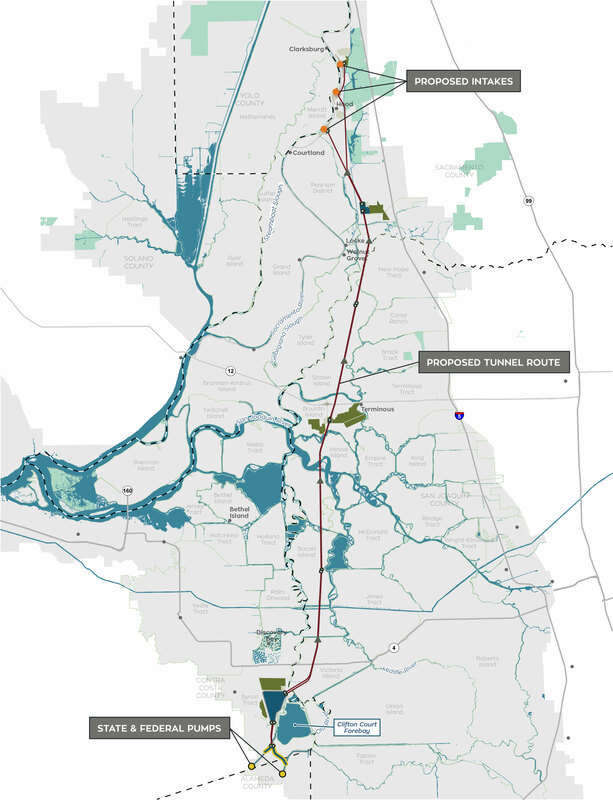 Without fixing how we move the water through the Delta, we will miss opportunities to take big gulps of water in wetter years and save it for use in drier years. WaterFix is moving toward the design and construction phase to build a more reliable water system for California. The following animations are based on conceptual engineering designs and depict the construction activities associated with building three new intakes and two gravity-fed tunnels that will secure and deliver clean water supplies to 25 million Californians and 3 million acres of farmland.